Chirton Engineering is a division of Carr’s Engineering Ltd. Chirton are based in North Shields, near Newcastle Upon Tyne in the North East of England. 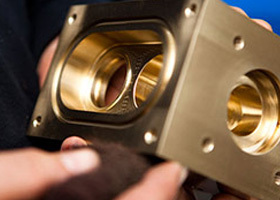 Founded in June 2003 the division is a subcontractor of precision machined components, with specialism in the fields of Oil & Gas, Subsea applications, on deck ship equipment, offshore wind and high end automotive market including Formula 1. The Division’s distribution network is not only the UK, and Europe but also China, Australia and the USA.